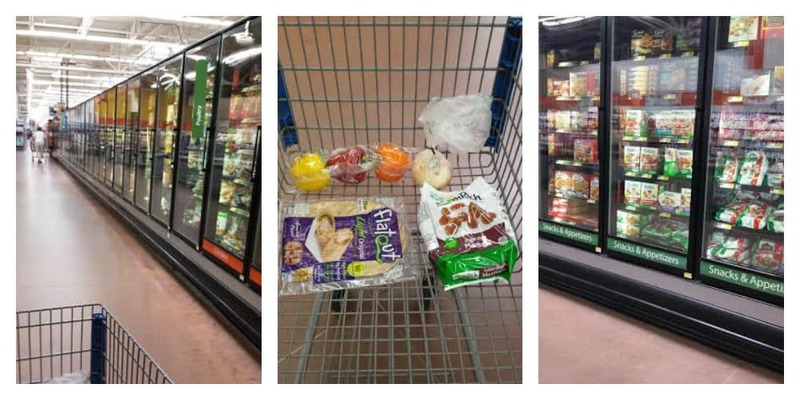 Are you ready for back to school snack time? Farm Rich is having a Back Your Snack contest starting August 1, 2015 and is running until August 23, 2015. All you need to do is create an original snack hack recipe using at least one Farm Rich product and one Walmart fresh item for a chance to win $10,000! For all the details check out the rule book HERE. 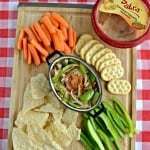 I was excited to hear about the contest and started planning my own Farm Rich Snack Hack. I had so many ideas in my head that I wasn’t sure which one I wanted to make. I finally headed over to my local Walmart to actually look at the products. 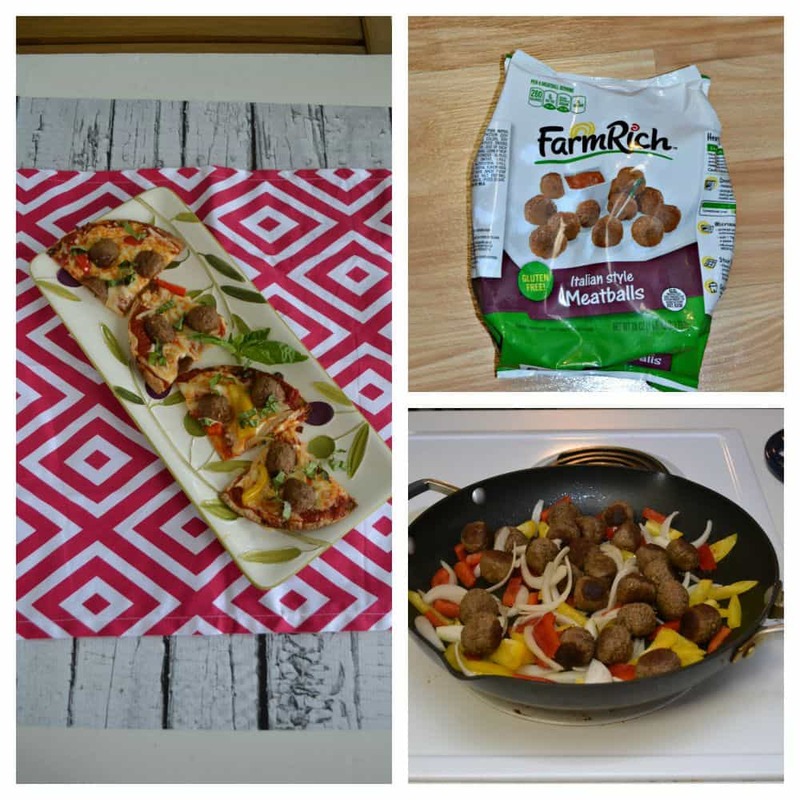 I was still torn between two different snack ideas when I grabbed a bag of Farm Rich Italian meatballs and started working on a snack idea with them. 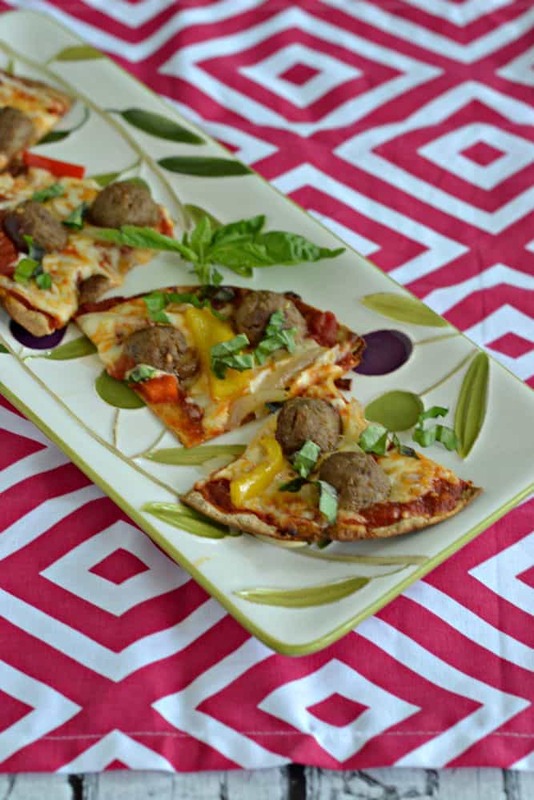 My idea was a simple Meatball Flatbread Pizza. It’s awesome because it tastes like a meatball sub, is much less messy, and it’s enough to share between several people. I bought a few flatbreads, bell peppers and onions, and the Farm Rich Italian meatballs. I got to work as soon as I got home because I was super hungry. The timing on the flatbread pizzas worked out well. As I preheated the oven I began cooking the meatballs in the skillet. Once the oven was preheated I stuck the flatbread in for 5 minutes while I added the peppers and onions to the skillet. 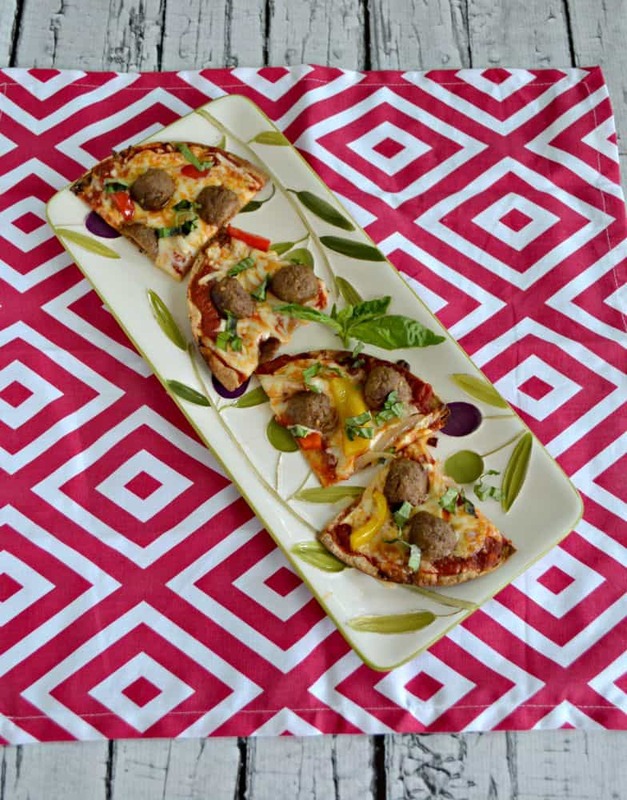 Then I was able to assemble the meatball flatbread pizzas. As the pizza was cooking I realized that I needed a little something to put on the pizza when it came out of the oven. I ran out into my herb garden and grabbed a handful of basil. I cut it into ribbons and sprinkled it over top of the pizza once it came out. It looked amazing. I cut each flatbread pizza into 6 slices. This recipe is enough for 8 people to snack on but it can easily be cut in half for 4 people. The recipe is easy and perfect for an after school snack. I really liked the crispy flatbread topped with the peppers, onions, and juicy meatballs. It was like the perfect combination of pizza and meatball subs. Now that I’ve shared my recipe with you I hope you’ve started thinking of your Farm Rich Back Your Snack recipe! Getting working on it now and you can start submitting recipes on August 1, 2015 on the Farm Rich site. All recipes will be judged on quality and use of required ingredients. Then you can check out the demos of the finalists on September 19-20 and October 9 and 11 at these Walmart stores. 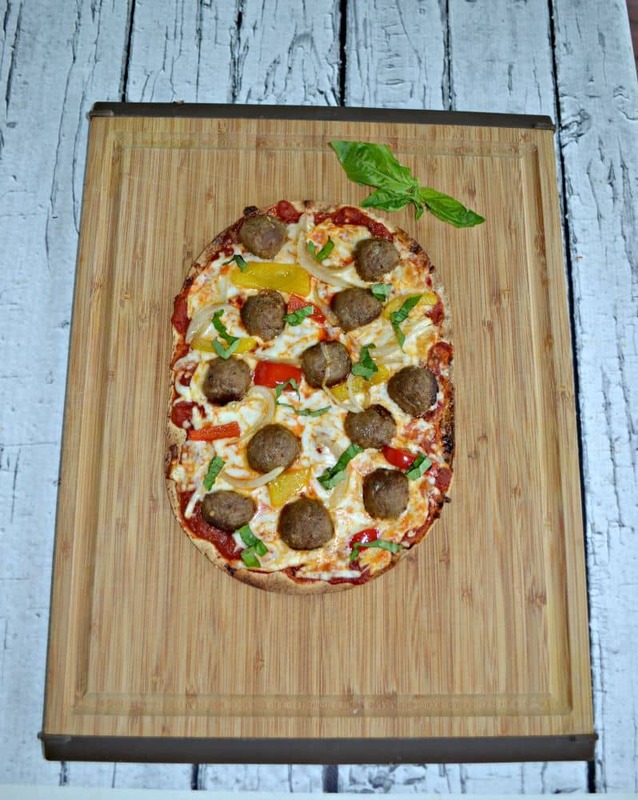 Delicious and crispy flatbread is used to make a pizza with onions, peppers, and meatballs that taste like a combination of meatball subs and pizza! It's the perfect after school snack hack. While the oven is heating place the olive oil and meatballs in a large skillet over medium heat. Cook the meatballs for 10 minutes or until they begin to brown. 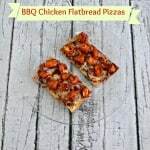 Place the flatbreads on a cookie sheet and bake for 5 minutes. While the flatbreads are baking, add the peppers, onions, and garlic to the pan with the meatballs and cook for 5 minutes, stirring occasionally. Remove the flatbreads from the oven. 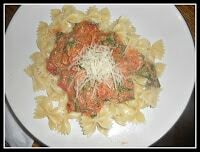 Spread each one with ¼ cup of pizza sauce and sprinkle with ¼ cup of cheese. 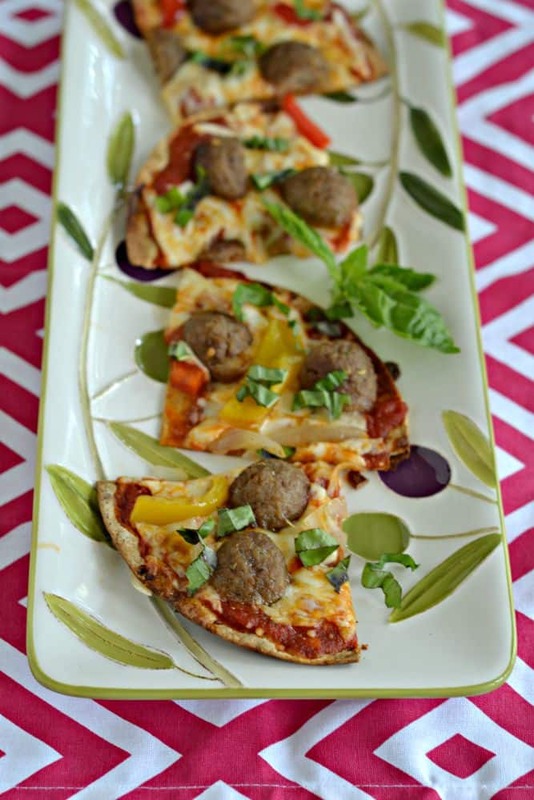 Cut the meatballs in half and spread the meatball halves, peppers, and onions evenly over top of the flatbread pizzas. Bake for 5-7 minutes or until the cheese is melted. 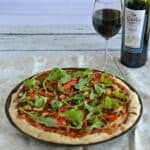 Remove the flatbread pizzas from the oven and sprinkle with basil. Cut each one into 6 pieces and serve as a snack. How would you use Farm Rich products to create a unique snack hack? Oh my gosh!! This looks so fantastic! I’m pinning this. You should link this up to Tips and Tricks tonight at 7 mountain time on Fearlessly Creative Mammas.